My journey with Krell goes back. Way back. All the way back to the original KSA-50 and PAM-5. I’ve always liked the brand, and thought the name was super cool. Plus, Krell was always a serious engineering company, and their products were robustly built – you could drive the hell out of their power amps into the most difficult loads without issue. Back when I had a pair of Apogees, Krell amps were the only amplifiers that would power these legendary ribbons without self destructing. Fast forward to 2018. Krell had been languishing somewhat for the last decade, but now with Walter Schofield in charge of things, and some new product updates from the engineering department, they are again highly competitive. Best of all, that Krell magic is back. For some time, Krell amplification had taken on a bit of a forward, hyperdetailed sound. The new XD amplifiers have returned to more of that slight bit of warmth and tonal saturation, combined with a level of bass slam that made Krell famous. I’ll stick my neck out here and guess that this is a sound that more true music lovers might enjoy, and I’d put the tonality of the current XD amplifier more in the same ballpark as the other solid-state, Class-A amplifiers I truly love: vintage Krell, vintage Levinson, Pass, and Luxman. More of that kind of sound. Which brings it all full circle, because Schofield used to work for Levinson, so he brings a lot of expertise to bear on carving out today’s Krell, and their place in the market. 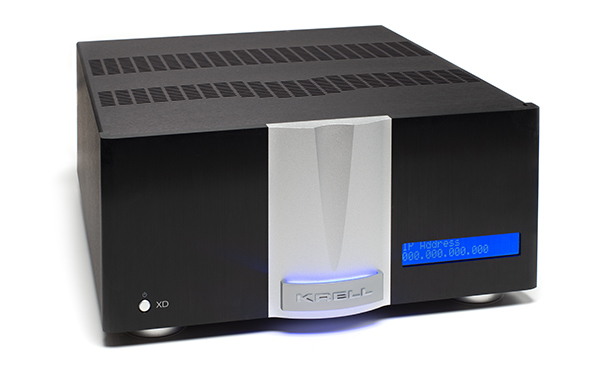 Krell was serving up great sound at the recent Rocky Mountain Audio Fest, showing off the new XD amplifiers, but even more exciting is that they are offering an upgrade for their past Duo amplifiers to bring them all up to XD spec at a very reasonable cost. In the case of the Duo 175, only $1,000. My inner tree hugging personality loves this, because you don’t have to abandon your old gear to step up to the latest/greatest. Audio Research has had tremendous luck with this and after hearing the new XD side by side with the older version, I expect Krell to do the same. Just so everyone is clear, this upgrade can be done to the amplifiers currently in the i-Bias lineup: 125/175/300 Duos, the Trio and the 375 and 575 Solo. The new K-300i already includes the XD upgrade in their DNA. The “Chorus” line of amplifiers can also be upgraded. Fortunately, Schofield made my job easy. He sent me an old version along with the new amp. While it’s great to rely on “sonic memory,” nothing gets the job done like having them both side by side to compare. So using the new D-01 DAC/streamer from Esoteric ($20,000) in for review that I’ve become very familiar with, Nagra’ s Classic preamplifier ($17,000) and a pair of GamuT Zodiac speakers ($149,000/pair), all cabled up with Cardas Clear cable, the comparison was a relatively easy task. Taking this a bit further, I borrowed a good friend’s first gen KSA-50 for a true comparison. Ken Kessler wrote enthusiastically about the KSA-50 for TONE here (http://www.tonepublications.com/old-school/krell-ksa-50-amplifier/) so of course, I had to purchase one to take that trip down memory lane. But like Pokemon, you can’t catch them all, so when the review was done, it went to someone close. Which means loan privileges, of course! So now we had the last version, the new version and a great original to compare. Initially, there’s no comparison between the two current models – the jump in resolution and musicality is massive. It’s like they are channeling the sound that made Krell famous, while incorporating the changes in technology that have come to be over the last 35 years. The raw emotion that generated so much excitement over this brand in the 80s is back in spades, yet without losing that magic, there is more low level detail, and more refinement. This is a tough combination to master, yet Krell has. It’s like taking a car with a great paint job, wet sanding it with 2500 grit sandpaper and then buffing to a higher luster than you thought possible – yet there you are. We’ll have a full review of the Duo 175XD before the end of this year, but for now, consider this more of a comparison between new and old versions to let you know what’s new. Anyone thinking about doing the upgrade, the answer is an unqualified yes – this is the best thousand bucks you will ever spend in high end audio, and this upgrade applies to all their stereo and multichannel power amplifiers. 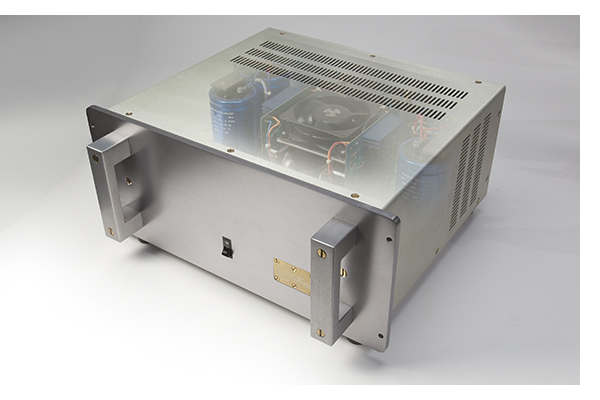 The three channel amp is a $1,200 charge, the five channel, $1,300, seven channel $1,500 and the monoblocks, $1,000 per channel. As with past Krell upgrades, the owner is responsible for shipping in both directions. Schofield says that current upgrades are “dependent on production volume,” so it’s best to call service/support and find out what the backlog is. 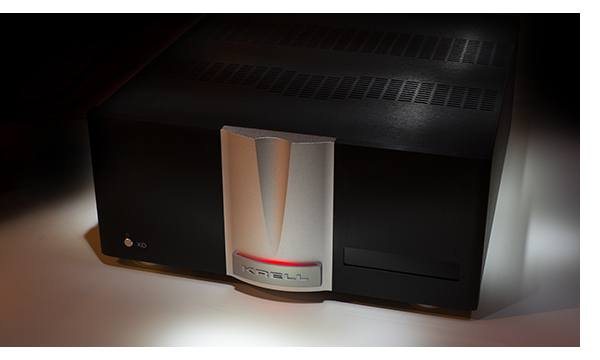 The folks at Krell are calling this “The New Sound of Krell,” but I submit that they’ve just returned to what made them great in the first place, bringing it up to date with the best advances in audio technology that have come our way in the last few decades. I’d say they’ve found their way back home.